This entry is LONG overdue. It is the last day of the Christmas holiday break, and I'm finally getting around to writing about our Genius Hour project so far. Between a busy home life and the fast-paced fall term, time has just flown by. I am happy to report that our class had a very successful start to Genius Hour. We spent a lot of time in September and October preparing for it, as we added ideas to the "Wonder Wall", and learned about different ways to present what we learned using technology. Everyone was eager to start, and it felt like the starting date kept getting pushed back. I really do think it was worth it though, as I taught students some basics about weebly, ComicLife, PowerPoint, Explain Everything, and iPads in general. I have to admit, a few students taught me a few things about those programs. It's amazing how quickly they can just jump into an app or program without any hesitation. I really admire them for it. We also spent a decent amount of time discussing "digital citizenship" and "net etiquette". Students also drafted up some basic Genius Hour proposals, which helped them really sit down and think about what they wanted to do. 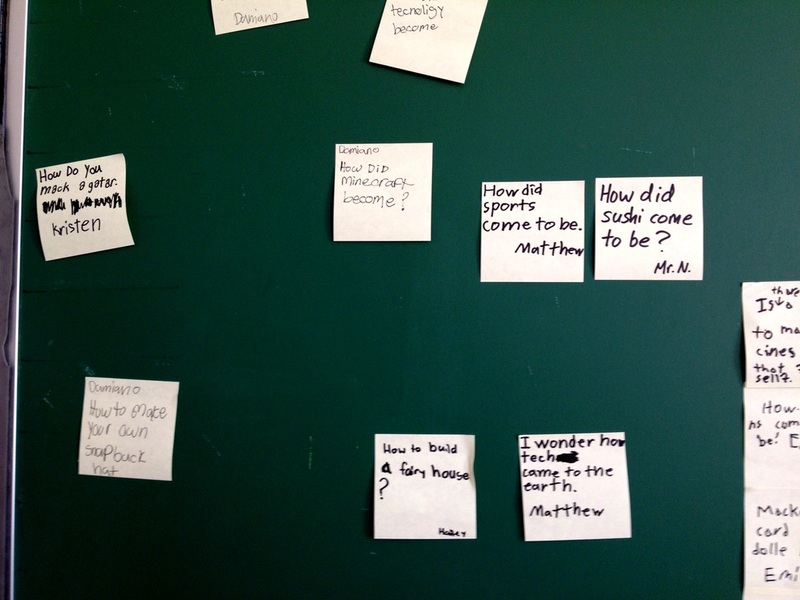 Some students knew what they wanted to pursue as soon as I mentioned the idea of Genius Hour, however many others needed a bit of time to think about it. The proposal sheet helped them draft it out, as well as think about what supplies they needed. I told them that we had basic supplies at school, but if they needed additional supplies, they needed to make arrangements to bring them in. We had a countdown to the opening day, and the kids were very excited! We had a great start, as the majority of our class was super-enthusiastic to start. I was floored with the variety of projects that students chose to do. (See some of the examples below with the pictures). We do Genius Hour after PE every Friday morning now. Students love their Friday mornings now! Each Genius Hour does feel like 20 minutes. When I start giving the 10 or 5 minutes left warning, I hear groans as students don't want it to end. 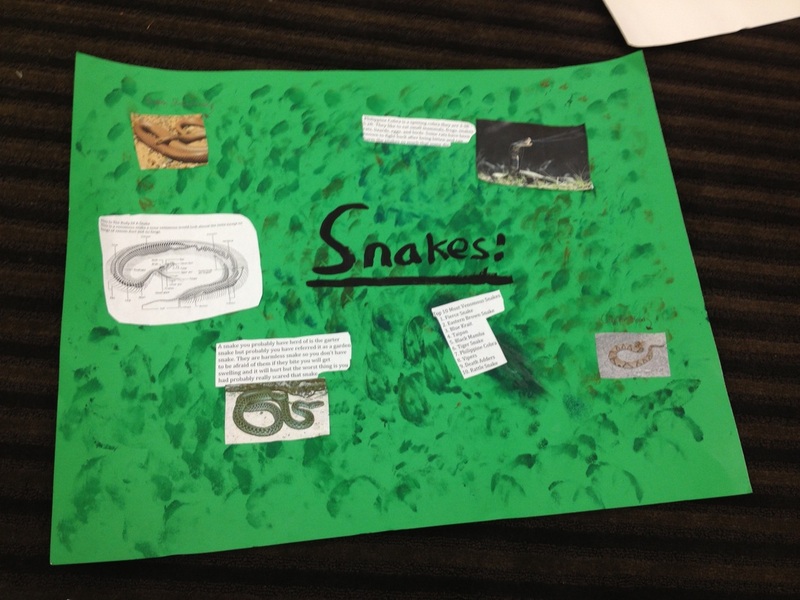 As you can see from above, one of my students decided to further research her passion, which was snakes. She did a lot of her research on the computer, but in the end decided to present her information on a poster. She also presented her project in a speech format, using cue cards. I was impressed that she decided to present in this way, as it went against the "popular tech" options. It was a fantastic presentation as the class was totally engaged in her facts about snakes. This student created a PowerPoint slide show about training dogs. She took the pictures at home, and put it together at school. It was very well done. The picture above is her latest project. 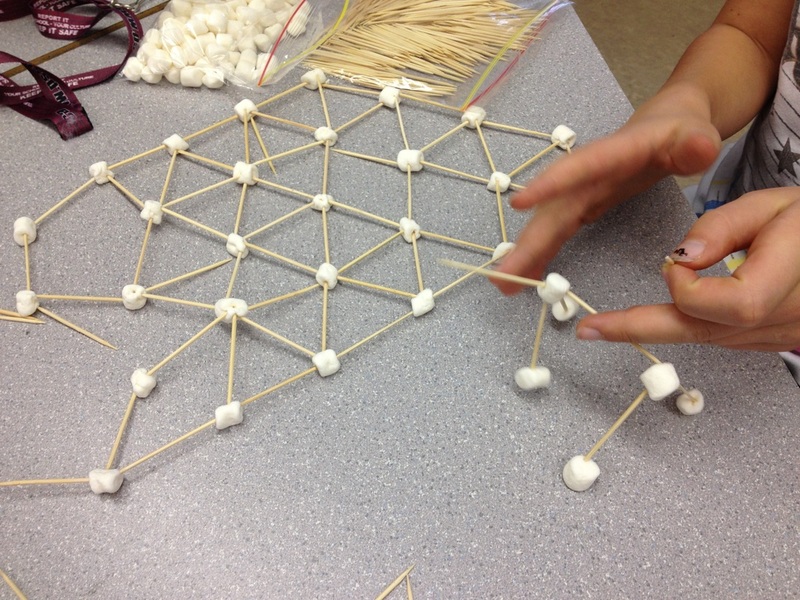 She is trying to build a structure using marshmallows and toothpicks. This student is using You Tube on an iPad to figure out how to make a certain paper airplane. Once he learned how to do it, he used "Explain Everything" on the iPad to create a step by step video of is own, explaining how to make it. You can view his video here. This is one of the more original projects I've seen so far. This student is creating a three dimensional replica of the ship, the Easterner. She is using the iPad to help find information about the ship, and at the same time, she is taking photos of the process to present later. This has proven to be a very challenging project! These projects are only the tip of the iceberg. There are many, many more amazing projects that these kids have created. I'm amazed at how much they've learned. For many of the projects they learn about the topic they are interested, and then learn even more when it comes to how to present it. Many have created basic webpages, which they are very proud of. You can view some that have been published here. There have been some challenges. Sometimes it is hard for a student to decide on a topic. I've had a few that initially flip-flop between ideas. They often take on too much, and don't want to do it anymore when they realize it is too challenging. I've also had a student or two take on a project that's not really "new" to them. Sure, they are learning a few new things, but they are not as rich as other projects. I try to counter this with often encouraging them to, "see a project through to the end", even if it doesn't end up being what they envisioned. They still learn so much through "first attempts". For example, a student created a simple stop-animation video on his iPhone. It lasts for only 5 seconds or so, and isn't really much to see. He has taken what he's learned from that though, and is now creating a much more detailed, richer stop-animation video. The other challenge is finding some time to have students present their projects. It was difficult enough to find a set time each week to have Genius Hour. I hope to give students plenty of time this upcoming year. Well, I have to say that Genius Hour so far has been a great success. The enthusiasm from Genius Hour has also lead me to create a "Creative Tech Club" once a week after school. Kids can work on whatever project their interested in, using iPads or laptops. Some continue working on their Genius Hour projects. So far, I've had 6-10 kids attend each week. Between my newly arrived daughter Sophie, and the first full week of school, it has been hard to update this blog! In this past week, I introduced the idea of Genius Hour to the class. I explained what is was (as best as I could), and I showed them some student examples from Denis Krebs' grade eight class. Check out her website here; it's full of great Genius Hour resources. The students were very curious about it, with lots of questions. I've decided to create a "Wonder Wall" (pictured below), where students can bank their inquiry questions or Genius Hour project ideas. When they have an idea, they grab a sticky note and a sharpie. They write it down, and stick it on our board. The idea will be saved for later when we're ready to start. It has also helped spark ideas from other students. I have to say I'm pretty impressed with some of the questions or project ideas they've come up with so far. It's quite a variety from, "Can certain colours make you feel certain ways?" to one student wanting to construct a paper Tupac. It has been extremely interesting seeing what ideas and interests they have. Most of them are things I would have never thought the students would be interested in. Giving them a chance to express this without outward "teacher judgement or suggestion", as been a very interesting and worthwhile experience. One student wants to explore how to build certain structures in a computer game called "Minecraft". It is a VERY popular game among students at our school. I don't know too much about it myself. 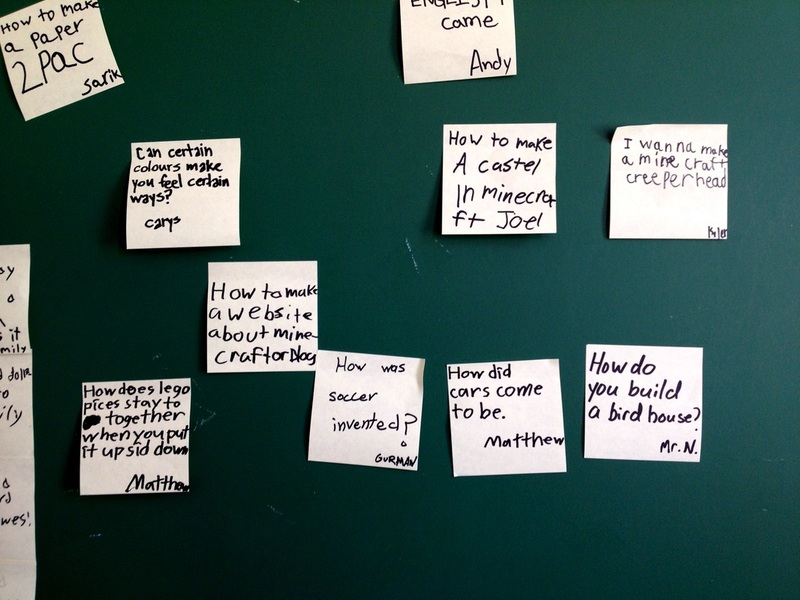 In fact, my Genius Hour question was, "Why is Minecraft so popular?". At first I was very reluctant to allow a student permission to purse exploring a computer game during school time. From further research though, it appears that this game is actually very constructive and lots of learning takes place. The bigger question is though, even if wasn't "constructive", should it be allowed as a Genius Hour project? Genius Hour is supposed to be very open, allowing students the time to purse what interests them, no matter how trivial an adult may find it. Where do you draw the line though? This is something that I think I'll learn as we start this for the first time. I suppose I will have to emphasize that the presentation or sharing of what each student learns with each other is extremely important. Hopefully this will temper any pursuits of "less than deep" projects. I hope to actually give the students Genius Hour time in one to two months. I need to take the time to have us build up the ideas on the Wonder Wall. I also want to teach the students how to use different technology options that they can use when they present their discoveries. Finding the time in an all ready packed school schedule will be the hardest challenge. I just had a fantastic hour of conversation with educators from all over North America using the hashtag, #geniushour. There is a monthly conversation on the first Wednesday of every month. This was my first so I had lots of questions. I was provided with many links, which I'm planning on reviewing in the next few days, and I'll be sure to share them on this blog. I sit here on Labour Day long weekend thinking about the upcoming school year. Last spring and just last week, I've begun to learn about "genius hour". From my understanding it is passion-based learning that originates from certain companies in the US, who have tried this with their employees. They take one hour a week where the employees can take the time to investigate, learn, and explore whatever topic interests them. It has greatly improved morale within many companies. This idea has now entered the classroom in North America, and it appears it's worked with much success. The idea is to give students the chance to explore an interest they have, as they formulate inquiry questions regarding a topic that they have a passion for. 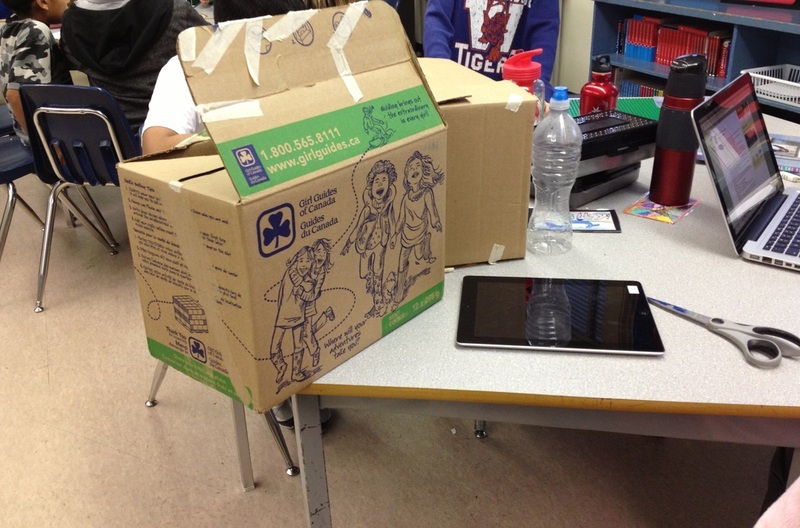 I've read about how a couple of teachers have been using genius hour in their classroom in Surrey. Some students who have previously show little interest in the orthodox academic subjects, "light up" when genius hour comes around. They are encouraged to research their inquiry question and then present it a way they would like. So when I heard about this idea, I thought it would work brilliantly with the Montessori philosophy. This would give students the choice to pursue their passion, their interest. As Montessori teachers we need to try and light the "fire" in students. This "fire" encourages them to wonder and pursue more knowledge. I still have so many questions that I hope to have answered before I try this with our class. How do you "set it up"? Some students know what they're passionate about even before they enter the classroom. Many though, have trouble knowing what interests and inspires them. This is understandable, as many adults even have this challenge. How do I help lead students to create a fulfilling and meaningful inquiry question that excites them? What learning outcomes can I relate this project to? What scaffolding do I need to have for the students to ensure the greatest chance for success? I want to make sure that I've taken the time to think these questions through before I begin this project. There is a constant stream of information via Twitter that can be found at #geniushour. There is also a monthly chat every first Wednesday of the month. There is one next week, which I plan on attending. Hopefully some of these questions can be answered. I'm really excited about this project! I will try and document what I learn on here. Hi, I'm a grade 4/5 Montessori teacher at Sunnyside Elementary. 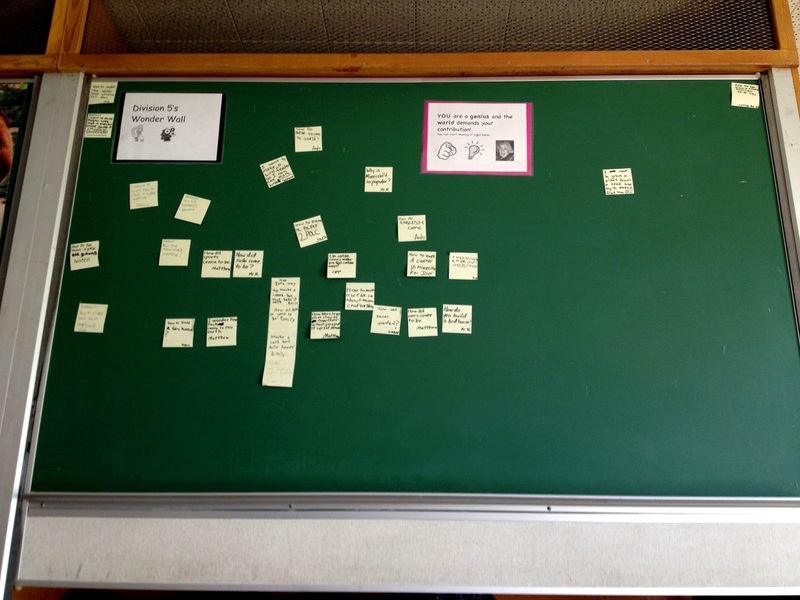 I've started to write this blog to keep a log about my class's entry into genius hour.